Here’s a peek at the lineart of the comic that I’m currently working on. It should be all done tomorrow, both the web version and the print version. I took loads of inspiration from Jordan Crane in terms of line variance and character design. I used a brush here and did everything by hand with ink and opaque white. I’ve never used brushes when making comics, so I thought I better stick close to the technique of someone whose work I love, if I wanted to churn out something that I’d be happy to look at. So far, I’m pretty damn proud of this comic. I’d be confident to say it’s my best so far. 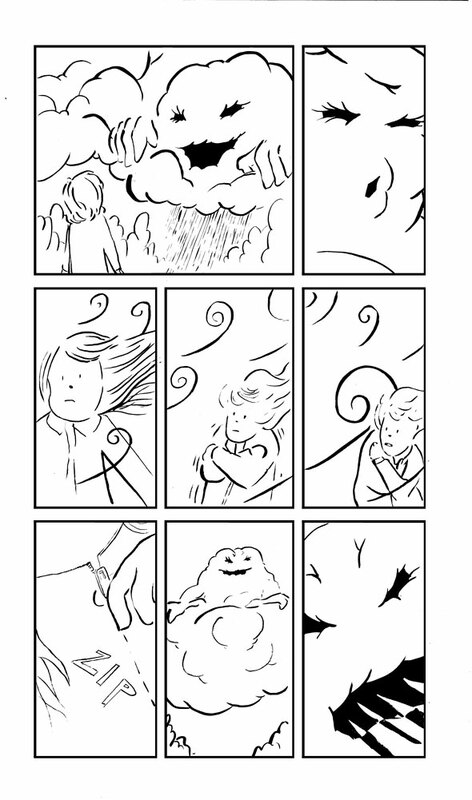 It’s a fun little story based on the fable of the Sun, the Wind and the Traveller’s Cloak. Stay tuned for a full post of this little comic. In news related to the comics making of others, two rad dudes, who inspire me immensely, Dan McCloskey and Nate McDonough are trekking around the Mid-West on a book tour. They’re making semi-professional writing more like semi-professional wrestling. Check these fuckers out. Both are resident members of Pittsburgh, Pennsylvania’s DIY anti-MFA, the Cyberpunk Apocalypsewriters’ cooperative, which recieved national attention in 2009 for living without heat, and being raided by dozens of police. Since then the project has been awarded a Heinz Endowment, provided space for 25 writers and artists to live and work. 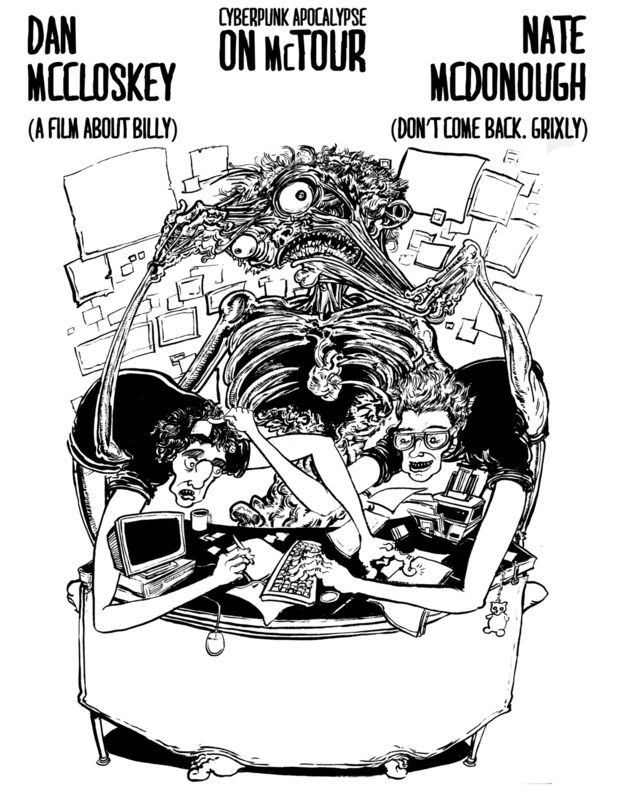 Seven books have been completed at the co-op in the past three years, including Nate McDonough’s Don’t Come Back and Daniel McCloskey’s A Film About Billy (a hybrid novel/graphic novel).McCloskey and McDonough work collaboratively and independently to create comic works that range from absurd to serious–disgusting to sentimental.